Demonia's Ranger 102 is a vegan leather ankle boot. The boot has a back zip with lace up front and cut out panel. 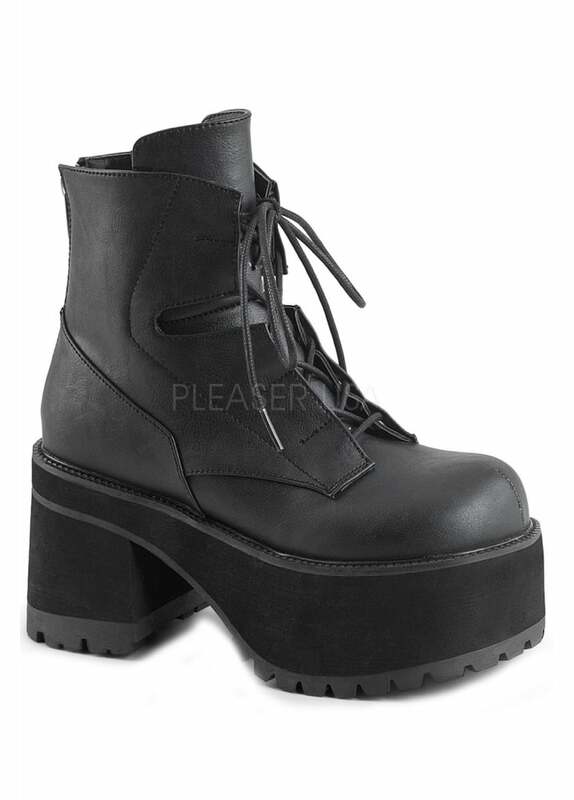 The gothic boot towers on a 4" heel and platform. Please note - Demonia shoes come through in half sizes. The shoes are slightly smaller than average so for example if you order a UK 6 then you will receive a 6.5. This is in line with Demonia's sizing guidelines.